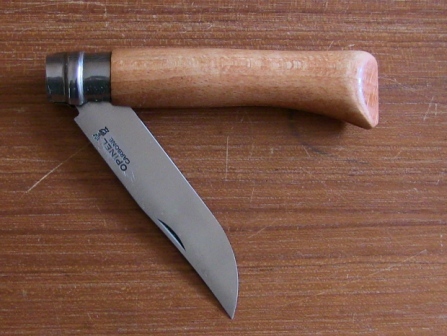 One of my sons bought me a number 10 Opinel folding knife for Xmas. I have always wanted one of these because of its close likeness to similar 18th century folding knives. But if I was going to carry it as part of my 18th century equipment, then I needed to change it slightly. This was done by sanding & filing the handle, softening the sharp edges & getting rid of the brand name. Altered knife.Handle soaked in neetsfoot oil. Austrian made "Penny Knife" with the same type of bolster & pin attachment. 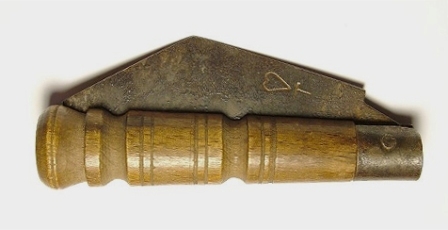 English "Penny Knife" with again the same type of bolster & pin attachment. American revolution period hawk bill knife with the same type of bolster. 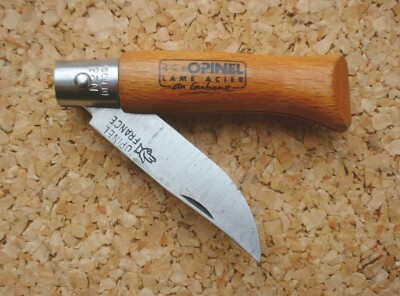 An Opinel number 3 clasp knife with exactly the same bolster design. 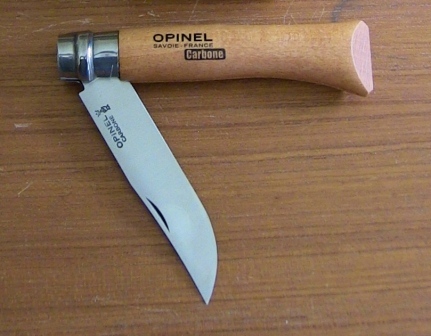 The bolster on this number 10 Opinel knife is covered by a locking bolster. 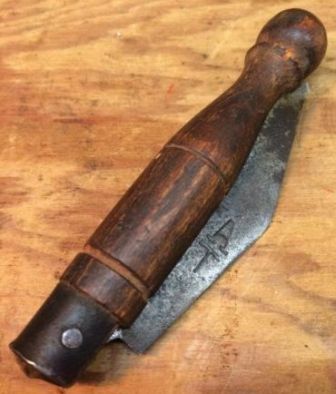 This can be removed & the bolster pin shortened & peened to match the period style of these other knives, but I have chosen to leave the locking bolster in place as it makes the knife safer to use, & the change would make little aesthetic difference. Last Edit: Jan 1, 2018 17:31:35 GMT 10 by Keith. Do you feel it necessary to remove the logo from the blade itself?